Check out Benjamin Shapiro’s project StrumSchool the best website to learn how to play the guitar. StrumSchool is a web-based service that uses a curriculum of instructional videos, downloadable documents & a dash of personal attention to teach aspiring guitar players what they need to know to play any type of music on the guitar. 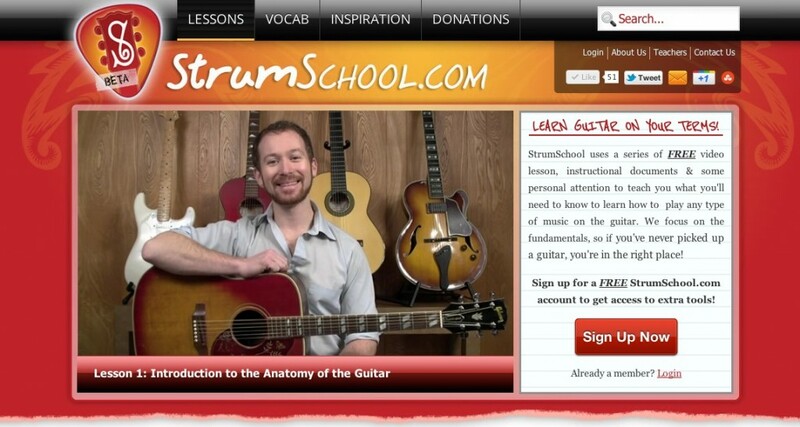 To learn more about StrumSchool watch the intro video here: SS.comfrom StrumSchool.com on Vimeo.